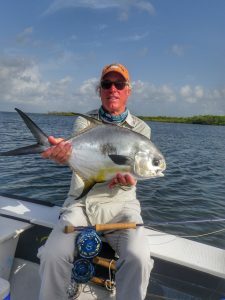 Turneffe Flats, Belize, April 27th- May 4th, 2019 Full. Update: we had a great week July 22-29th. We will be running another hosted trip next year. If you’d like to join us give us a call. 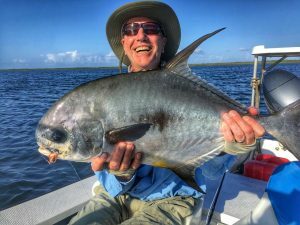 Turneffe Flats is one of the best locations in the world to target permit and very, very large tarpon. The Turneffe Atoll is the largest and most diverse coral atoll in the Caribbean. 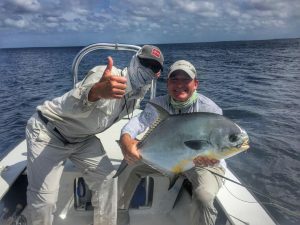 Turneffe Flats Lodge is ideally located to enjoy all of Turneffe’s 250 square miles of expansive flats, coral reef and remarkably rich marine habitat. 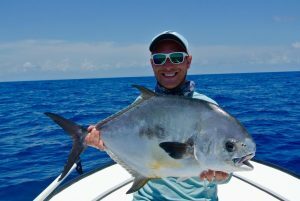 The Turneffe Atoll is unpressured and has what many would consider the best permit fishing in all of Belize. Also, our bonefish populations are extremely healthy with huge groups of fish on each flat. Something that is extremely unique about our bonefish is that they don’t leave the flats throughout the tidal fluctuation. 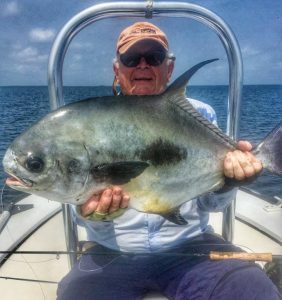 They remain on the flats 24 hours a day 365 days a year so you can fish to them throughout the entire day. 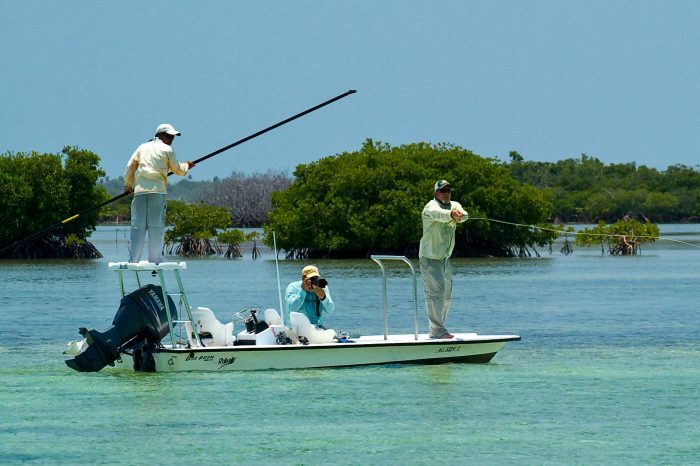 As an added bonus during the Summer months we see our migratory tarpon. 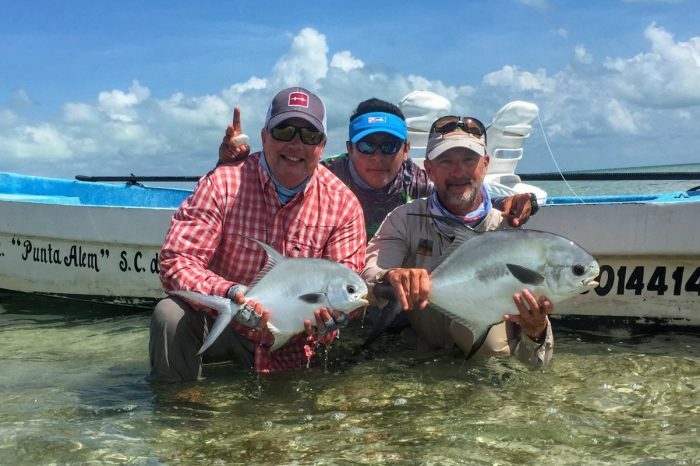 These are the true silver kings, 100-200+ pounds and July is a great month to fish for them on Turneffe. 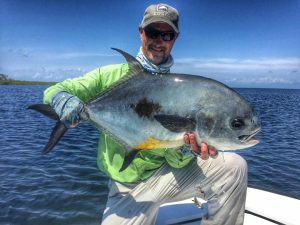 Turneffe Flats is not only the ideal location for anglers, it’s also one of the best for couples and families. Their offerings of non fishing activities is extensive. 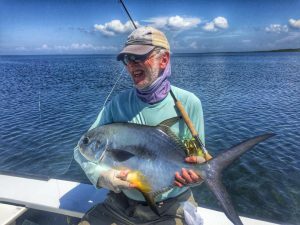 Just to name a few, Sea kayaking, Atoll adventures that will have you snorkeling with Manatees and Dolphins. Scuba diving in the Great Blue Hole, on one of the most pristine reefs in the world or visiting the Belize zoo or Mayan ruins. 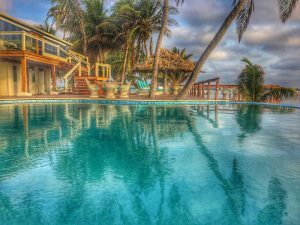 Relaxing by the pool is always a great option as well. 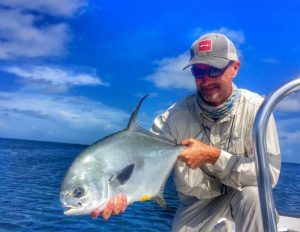 Fishing on Turneffe Atoll is great year round. 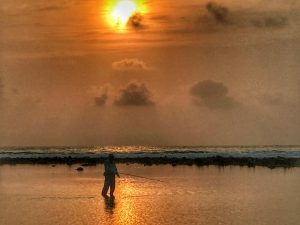 We pick our weeks we run hosted trips to correlate to the most productive tides and moon phases. 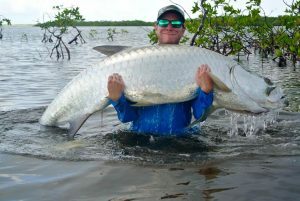 The summer months are some of our favorites due to the fact that the large migratory tarpon are there as well. 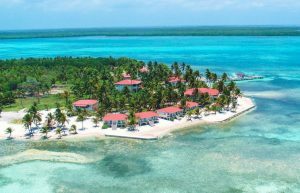 There is not much of a temperature veneration in Belize and oftentimes, can be cooler on the Atoll then in many of the states. Here is Turneffe’s most recent promo video. Yes. That is a yellow/golden bonefish, Turneffe Atoll is the only location they are known to exist. Here is a video we shot during one of our stays. 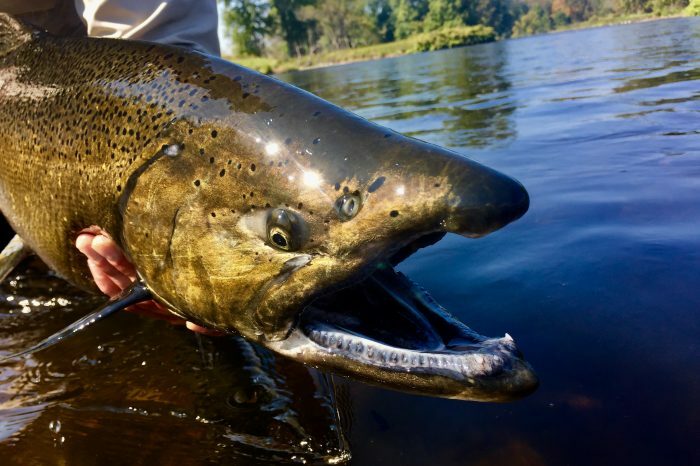 It will give you a great overview of the incredible fishery. We offer a number of hosted trips to Turneffe each year however, if you are unable to join us we are happy to help arrange your visit. 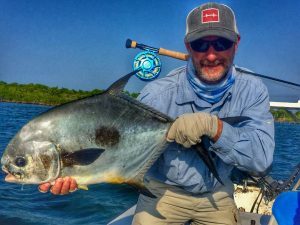 Don’t forget that whether you join us on a hosted trip or book any of your destination travel with the Albemarle Angler, you get 20% off any gear or clothing you may need for your adventure. 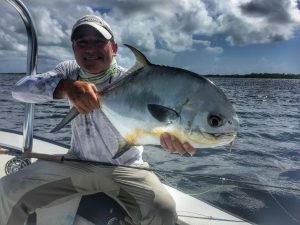 Ascension Bay, Mexico, July 13-20, July 20-27, 2019. Full. Isla de la Juventud, Cuba. April 12-21, 2019. Full. 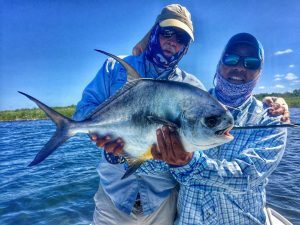 Isla de la Juventud is a protected marine park and boasts some of the largest populations of eager, user friendly tarpon on the planet! Pulaski, New York, Sept 29-Aug 2, 2019. Call to get on wait list.